Father’s Day is less than one week away! 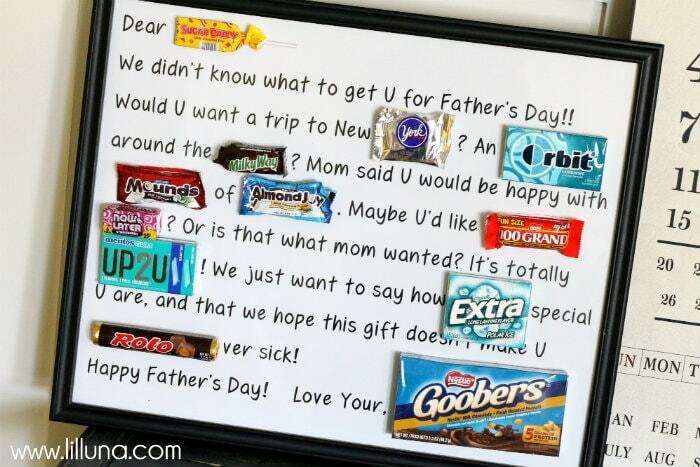 If your looking for some creative gift ideas for dads, then this post is for you. A while back I shared this gift idea for men, which could work for a dad who likes coffee and likes to read. 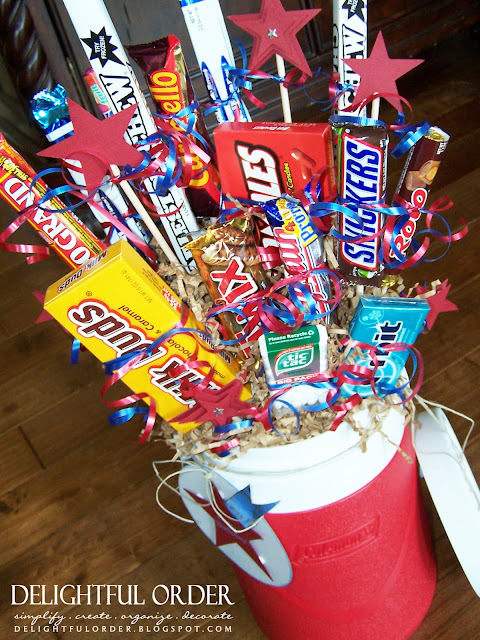 or you can make a candy arrangement for him. 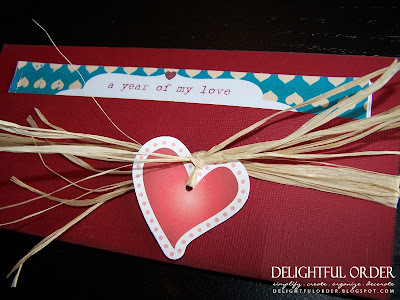 Or use the free printables that I made a while back and do up a year of my love coupon book. I created these ones for Valentines Day, but they don’t have to be only for love day. You can give this coupon book for any holiday. 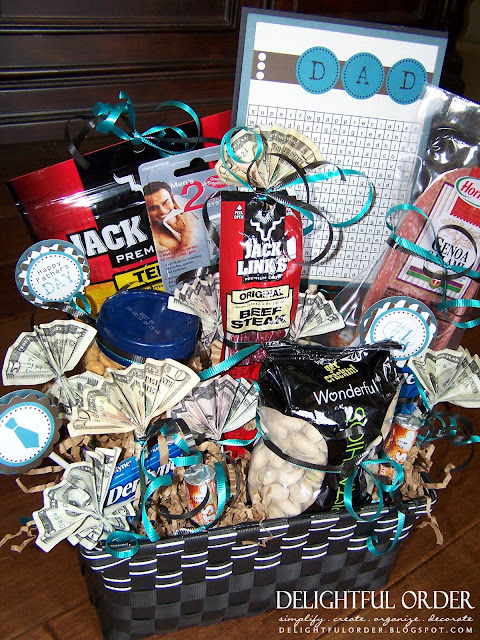 Here’s another idea that was created for Valentines day, BUT it can work for Father’s Day too. This love notes idea is from how does she and it’s way too cute! She gives you tons of ideas on where to leave little notes and what to say and more! I especially love this one! The note says “I’m nuts about you!” How cute. I WILL be using this “love notes” idea. If not for Father’s Day, then for Valentines Day. and this one is from how does she too. How a.d.o.r.a.b.l.e! and this framed dad portrait is sweet as ever. This one’s from Lil Luna. and this ones from Bits of Everything. How cute are they?!! 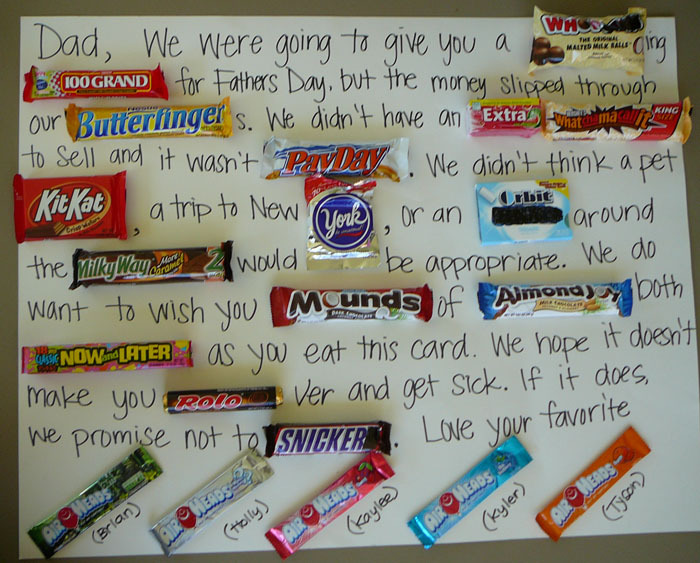 So there you have it… a few creative Father’s Day gift ideas for those of you looking to be inspired. Feel free to visit my Gift Idea Post Gallery for more gift and party ideas. Now I’m off to figure out what I’ll be giving my man and both of our dad’s this Father’s Day. If I come up with a new creative gift idea, I’ll be sure to share it with you. I am TOTALLY snagging that card idea with the candy!!! Absolutely loooove these ideas. Thanks for sharing. Such GREAT ideas!!! Will surely have to use them! Thanks! I love these ideas, they are all so great! i love your Fathers day gift ideas .